Meanwhile, for pea, zucchini and olive salad, blanch peas until bright green and tender (1-2 minutes). Drain and refresh, then place in a bowl with zucchini, olives, feta, herbs and spring onion. Shake remaining ingredients in a jar to combine and season to taste. Just before serving, drizzle dressing over salad and toss to combine.... Meanwhile, for pea, zucchini and olive salad, blanch peas until bright green and tender (1-2 minutes). 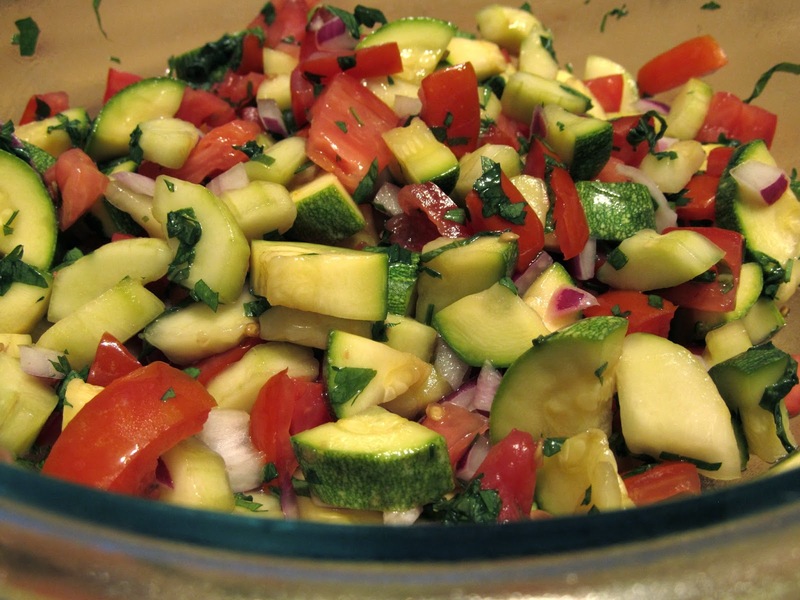 Drain and refresh, then place in a bowl with zucchini, olives, feta, herbs and spring onion. Shake remaining ingredients in a jar to combine and season to taste. Just before serving, drizzle dressing over salad and toss to combine. 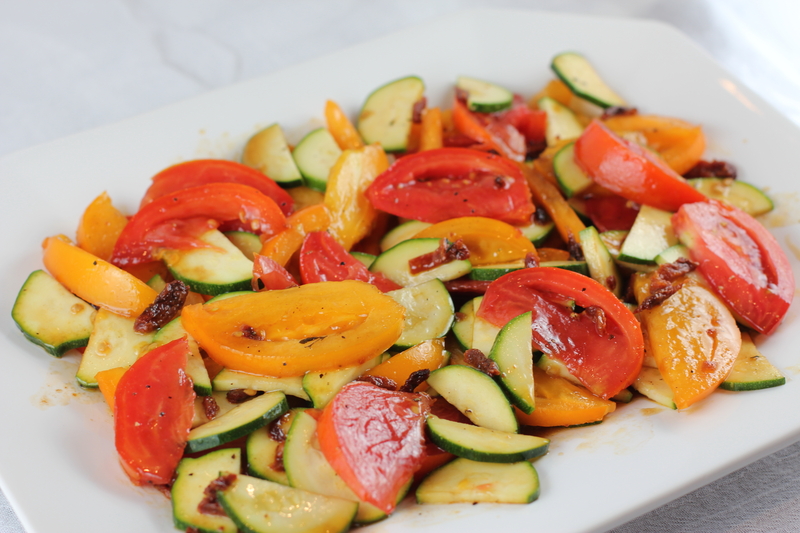 Use a mandolin cut the zucchini into thin ribbons and place in a bowl. Thinly slice the zucchini flowers. In a small blender pulse the dressing ingredients until blended.